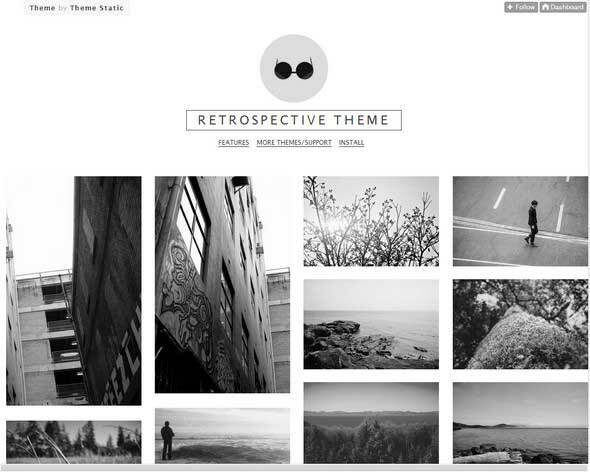 This article gathers 20 of the best photography Tumblr themes with gorgeous designs. You can use these premium templates to quickly build powerful Tumblr websites with neat features, that will definitely impress your visitors and even help you turn them into clients. These eye-catching photography Tumblr themes can be used for all kinds of photography related websites such as travel blogs, food, portfolios, and others. The designs include lots of space to showcase your photos, neat animations and image transition effects. Also, all the templates include many customizable options such as: fully responsive designs, grid-based layouts, share buttons to Facebook, Twitter, Google+, etc., infinite scroll, lots of animations, SEO optimization, and others. So, if you are looking to create a stunning Tumblr-powered photography website where you can beautifully showcase your pictures, here are some great themes to choose from. Air is a stunning Tumblr theme with a grid-based design. This is fully integrated with Tumblr and it is perfect for designers, photographers, videographers, and others. Here is a lovely Tumblr template which was created especially for photographers, designers, and other creative minds. videographers, but not only. This premium Tumblr template includes a beautiful full-page slider that you can use to showcase your photos. DISQO is an amazing theme that includes many customizable features such as header image, header logo image, the avatar, the slider, widgets, pagination, social feeds, and more. Allure is a beautiful Tumblr template that you can use to create your upcoming photography website. This theme is easy to customize, supports infinite scrolling, read more buttons, social buttons, fully responsive, etc. Ubly is a wonderful Tumblr theme with a fully responsive design that will automatically adapt to any screen size. This template is perfect for photographers and you can use it to showcase your pictures. Emotion is a great Tumblr theme with a fully customizable design. 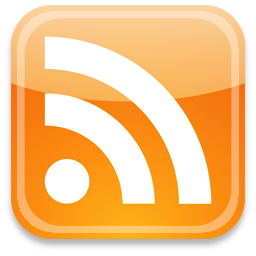 You can edit the colors, column layout, images, pagination, social feeds, the fonts, comment systems, and more. Wayfarer is a lovely Tumblr theme that is perfect for showcasing photographs. This template is great for travelers, explorers, adventurers, and other creative spirits. Avenue is a one column Tumblr template which can be used by bloggers, journalists, etc. This theme has many neat features that you can customize to make them fit your requirements. Have a closer look and see if this suits your needs. Travel Pro is an amazing Tumblr template that was created especially to beautifully showcase images. This theme includes a full-screen slider, uses place tags, various widgets for Instagram, Twitter, Dribbble, and Flickr, and other features. This Tumblr template has a modern design with a fully responsive layout that will fit perfectly any screen size. This theme includes powerful features that will help you build creative websites. Nanook is a fully responsive Tumblr template that you can use to showcase your portfolio, blog, etc. Have a closer look and see if this suits your style. Defiance is a beautiful Tumblr template with a unique design that will definitely impress your users. This theme supports high-quality photos and it includes many powerful features. Saint is a great Tumblr theme with a grid-based design. This template includes the following features: responsive design, custom colors, share post buttons, infinite scrolling, page loading animation, and more. The Ice Cream template can be customized and used to showcase beautiful high-res photos. This theme includes many great features that will help you create stunning websites. 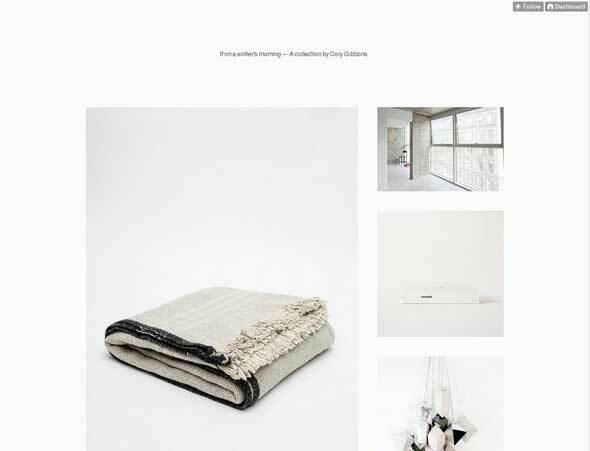 Paradis is a minimalistic Tumblr theme with a grid based layout and a fully responsive design. This template will automatically adapt its content to fit any screen size. Tini is a modern Tumblr template which includes the following features: responsive design, custom colors, share post buttons, documentation and video tutorial, infinite scrolling, SEO optimized, over 20 social icons, and more. Raymond is a beautiful Tumblr theme with a single column sidebar that was specially created for photographers, designers, and other creative minds. Fortune is an elegant Tumblr template which includes all post types: text, chat, audio, video, link, and more. This theme has a grid layout that will beautifully display your content.